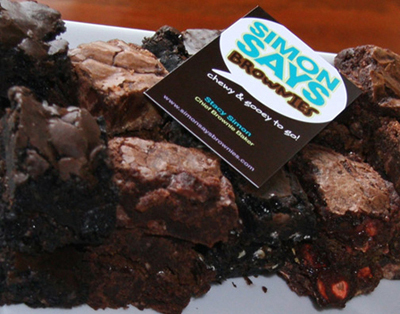 Simon Says Brownies® was born during the winter of 2010 during one of many blizzards. I was baking brownies for friends and neighbors and after several batches and a glass (or two) of Bordeaux, Simon Says Brownies® came to life. I have been baking my whole life and my signature bite–size brownies with fun mix–ins are truly chewy and gooey. and more. Please inquire about availability. Simon Says Brownies®— our quality speaks for itself.